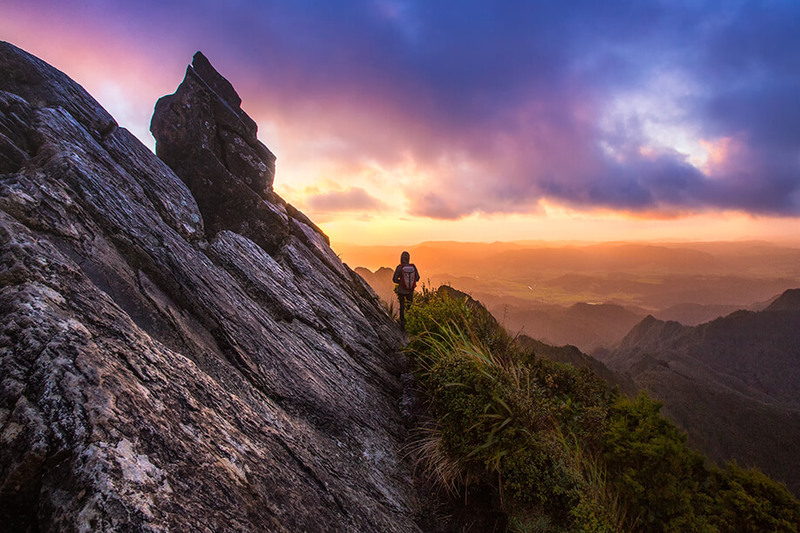 My best friend and I set off late at night to hike one of the most popular tracks in the North Island of NZ, The Pinnacles on the Coromandel, with all our gear in tow. I was using the Off road Stunt backpack for the first time, and it didn’t disappoint. My camera gear was kept safe the entire journey due to the sturdy exterior of the bag, and kept dry from the spots of rain encountered! This track gets quite rough up the top as you are literally clambering over boulders, up cliffs, and through bushand mud. The pack and my gear came out unscathed through all of this! It was super comfortable to wear, and the lightweight tripod was a great as it barely added to any of the weight I was carrying. 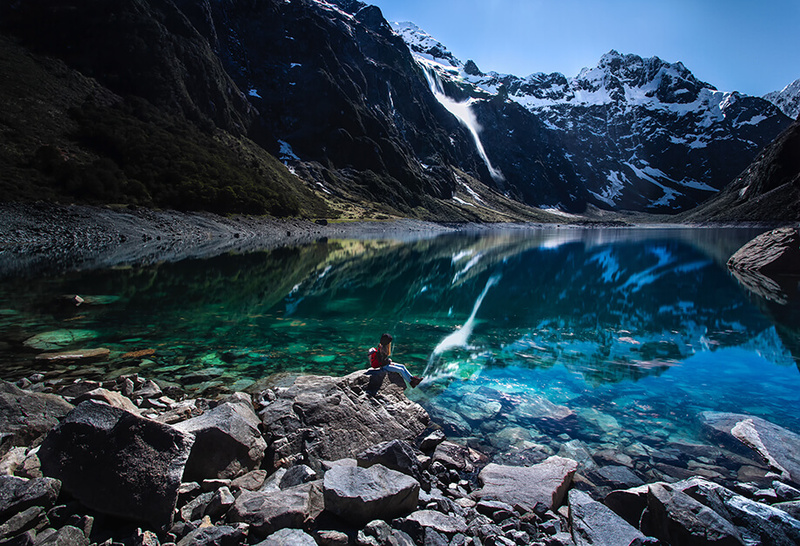 I also used the pack when I climbed to Lake Marian which is a hanging alpine lake that sits deep in the mountains in Fiordland. Again carrying my gear was a breeze and the pack sits super comfortably so you can barely feel it is there. Inside the pack there are smaller compartments for your camera gear (lenses, accessories), so all the different parts the make up my kit were kept safe. I was also able to fit in my drink bottle, food, extra clothing. It really is the perfect pack for those adventures and day trecks that don’t require too much gear. My last stop with the bag was at Mount Cook. Scrambling to get to my sunrise spot, I was able to just grab the pack and run for my life so I didn’t miss the light. As mentioned, the pack is very sturdy and has a framed top, so if your gear is kept safe from and bumps and slightly rough treatment! Overall I would definitely recommend this pack and tripod to those who own lightweight cameras, and those who like a bit of adventure and don’t want to carry an overly large sized pack on their back. It serves so well for those purposes and won’t let you down. 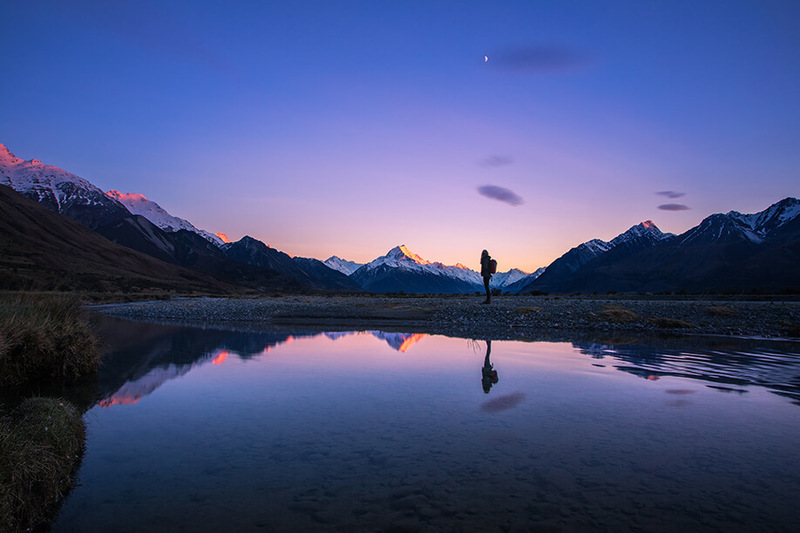 Rachel Stewart is a self-taught landscape, travel and adventure photographer based in Mount Maunganui, New Zealand. With a passion for nature, art, adventure and exploring, Rachel’s photography can be characterized by her desire to seek out and find the beauty created by the natural world.